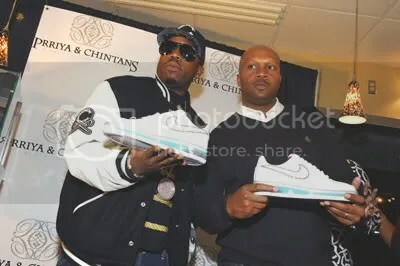 Big Boi from Outkast is one lucky owner of these $50,000 11 carats champagne diamond pair of sneakers. Big received these sneakers as a gift from ATL’s Laced Up and Priyya and Chintans Diamonds. Thanks to The Garner Circle Pr and their staff for our media credentials. You are currently browsing the archives for the Laced Up category.